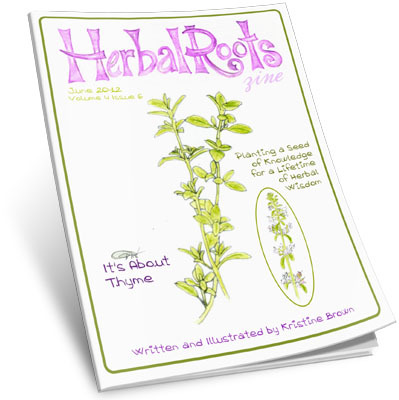 This month’s issue is all about Thyme! A great ‘beginner’ herb, Thyme offers great medicine with a gentle touch while being familiar and pleasant tasting. Thyme is from the Mint family, and as many members of the Mint family are, Thyme is great for treating digestive problems, including gas and bloating. He is also great for purging worms from the body and treating anything lung related. This month you’ll find lots of recipes for food and medicine, a fun craft and as usual, many fun games, puzzles, stories, songs and other activities to make learning all about Thyme lots of fun! 40 pages from Cover to Cover page.